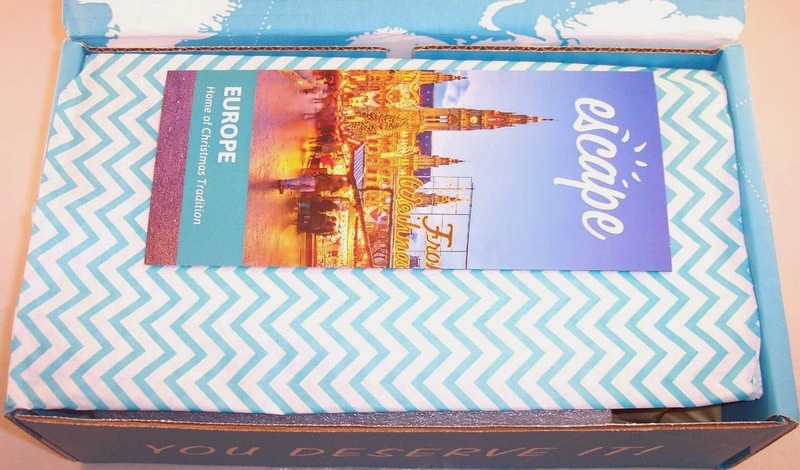 Escape Monthly (European Christmas) Review, December 2014 + 20% Discount Codes! Thinking outside the box can make the difference between a great sub box company and a mediocre one. That's exactly what Escape Monthly did with their December box. I have subscribed to Escape Monthly since April of this year. Every box has introduced us to a new destination with products representing that area. There has always been a travel guide included. I enjoy those but quite frankly, there is a growing pile of them in my living room and I'm starting to trip over them. It would be quite interesting to know how many of those actually inspire REAL trips? Anyway, December is a bit different. This month, Escape Monthly focuses on European Christmas traditions. I found this box to be quite a relief from the relentless holiday retail cacophony and I especially enjoyed the departure from sending a travel guide. But I'm getting ahead of myself. The big aqua blue box arrived right around Christmas and weighed in at a whopping three and a half pounds. Open the lid and you see their statement aqua chevroned tissue paper with our travel brochure on top. I wish "Smell-A-Blog" existed so I could share the wonderful scents emanating from this box! 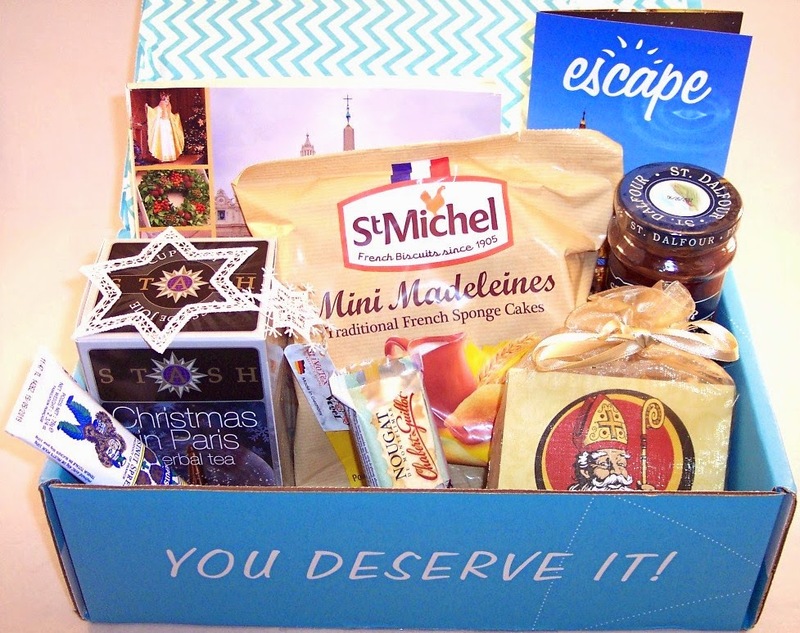 There are eight products in this jam packed box, all representing different Christmas and Yuletide traditions in various parts of Europe. The tri-fold brochure tells about the inspiration for this box and gives information about each item included, including its country of origin and retail price and a bit of trivia. Did you know that the ancient Romans celebrated a holiday called Saturnalia on December 25th? That has a slightly satanic sound to it but the day actually honored their god of agriculture. 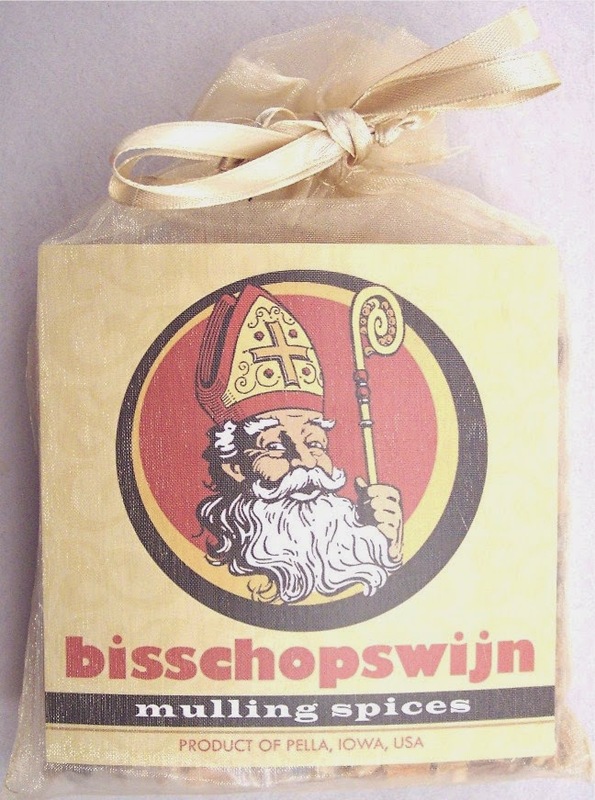 Here's the source of the fabulous aroma wafting out of the box....a package of "Bisschopswijn Mulling Spices". That unpronounceable and nearly unspellable word means "mulled wine" but these spices can also be used to flavor apple cider or cranberry juice. The mix that is creating the incredible scent includes bits of orange peel, cinnamon pieces, whole cloves and allspice, orange oil and cinnamon oil. Although this is meant for flavoring drinks, you can also simmer some on the stove to infuse the air or just toss some in a potpourri dish. This particular product is made in Iowa but the blend is reminiscent of the flavors most appreciated in the Netherlands. If you're interested in ordering this product or any of its variations (not a bad idea), you can purchase it directly at their site. Candles and tea are two of my favorite items to receive in subscription boxes. 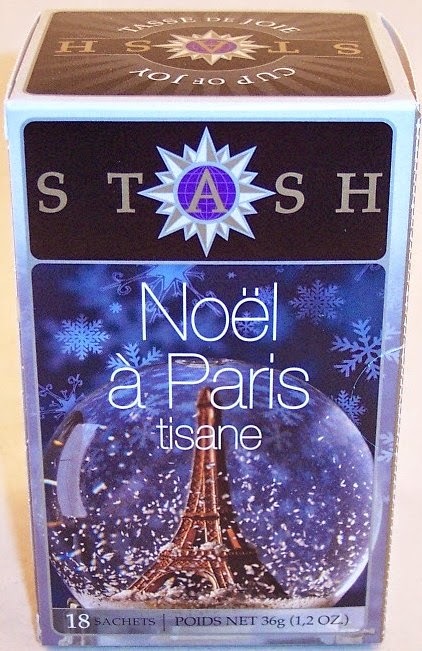 This box of Stash tea contains 18 tea bags containing a caffeine-free herbal tea called "Christmas in Paris". 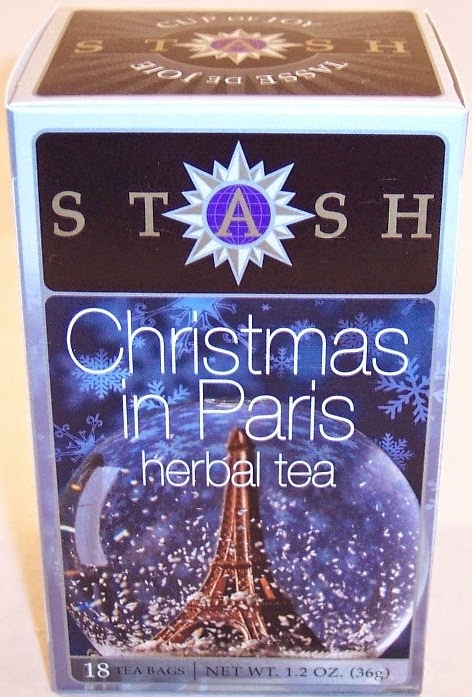 This tea is a blend of cocoa shells, peppermint, lavender, chocolate flavor and vanilla extract...quite an interesting mix! As you can see, the label is in English on one side and French on the other side. Love that this is a full size item! Another French product is this tube of Clement Faugier Creme de Marrons de L'Ardeche Chestnut Spread. 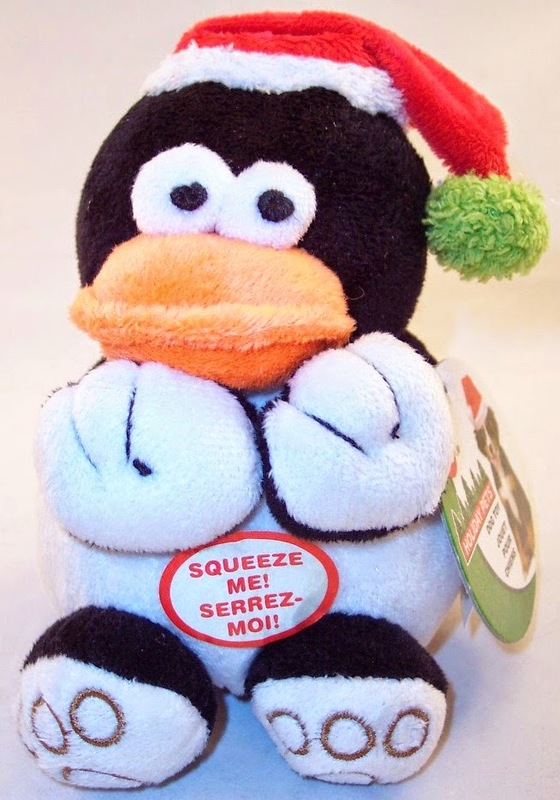 The brochure says that this is a staple in homes across the French countryside during the holidays. It can be used in crepes or as a side with cheese and wine. 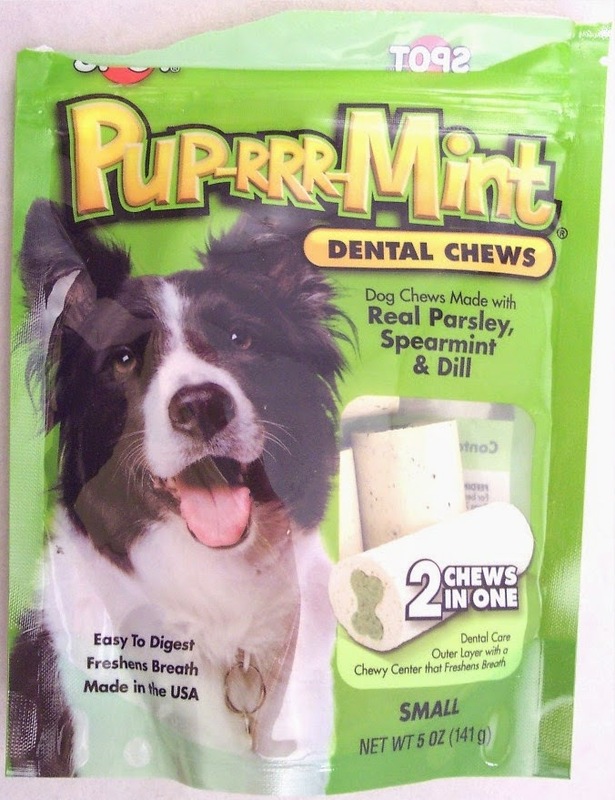 I think the packaging here is interesting; in the U.S., it might be mistaken for toothpaste or hemorrhoid cream! This beautiful book is a guide for touring Europe with Christmas in mind. 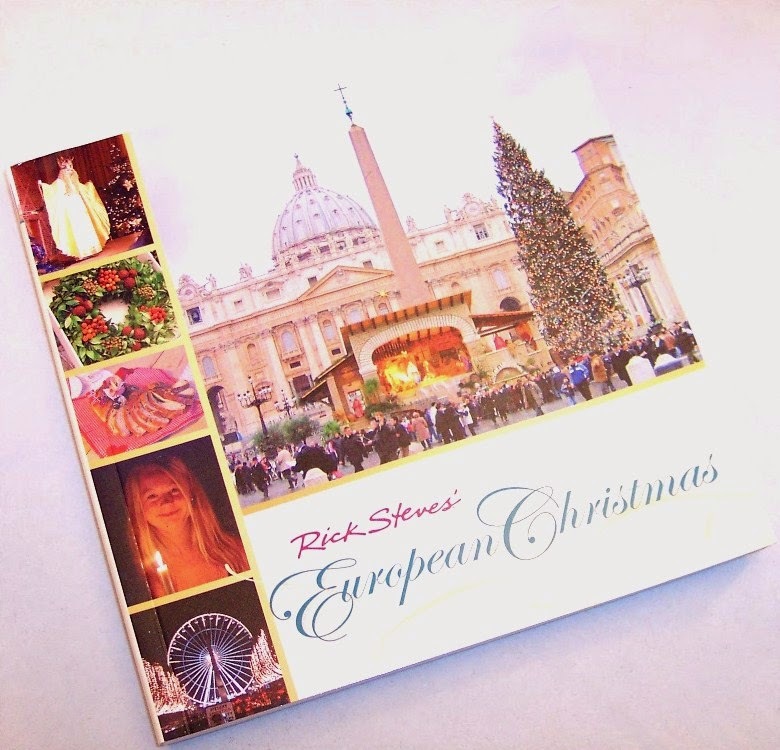 It is called "European Christmas" by Rick Steves. Unlike other tour books we have received, this one is full of color photos and written in a much more engaging narrative style than a typical tour book. There is a section each for England, Norway, France, Germany, Austria, Italy and Switzerland. This is really a comprehensive guide to the holiday traditions in these countries and even includes recipes for their best loved Christmas dishes. 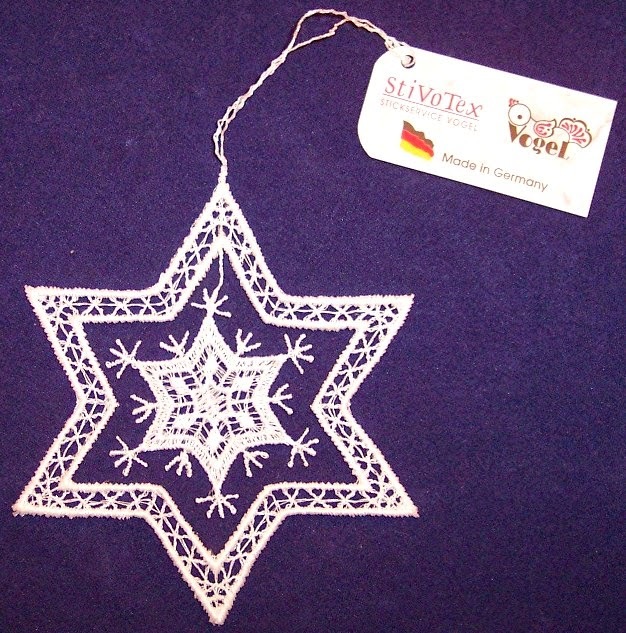 There is an exquisite handcrafted snowflake ornament from Germany. The center snowflake dangles inside the outer frame on a single thread. So when it's hung, it takes on a beautiful fluttering 3-D effect. I've done a lot of needlework in my life but I'm not familiar with the technique used here. This is not tatting or any form of crochet that I recognize. It has the precision and extremely fine thread of machine made lace but it is actually a handmade item. If anyone can enlighten me, please comment below. My favorite item in this box is the 10 oz. jar of St. Dalfour Red Raspberry & Pomegranate fruit spread. This looks delicious and I can't wait to try it. The bonus item in this box is a Nougat de Montelimar which is a simple nougat bar made with almonds, honey, pistachios and egg whites. This comes from the town of Montelimar in France. By the way, if you've subscribed to any of the boxes that feature foreign candies, you might have experienced quite a few nougat-based candies from Europe. It seems to be almost as popular there as chocolate is here. That's all for the European Christmas box. The total retail value of this box is $57.00. Boxes cost $49.95 but you can use codes MYESCAPE or YOUDESERVEIT to get a 20% discount for the life of your subscription, making it only $39.96. 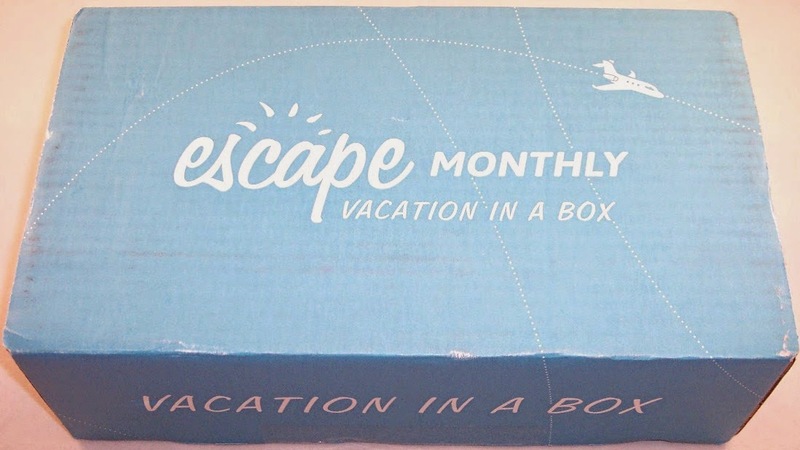 I really enjoyed the departure from routine represented in this box and hope that Escape Monthly will do similar seasonal variations in the future. In the meantime, January's box is taking us to Portland, OR. Portland is known for its "weirdness", gourmet food, luxurious bath & body products and artisan owned companies so this is sure to be an interesting adventure. If you sign up soon, you can also use the code PORTLAND to get 20% off your subscription. Methinks there are spices to be mulled now! 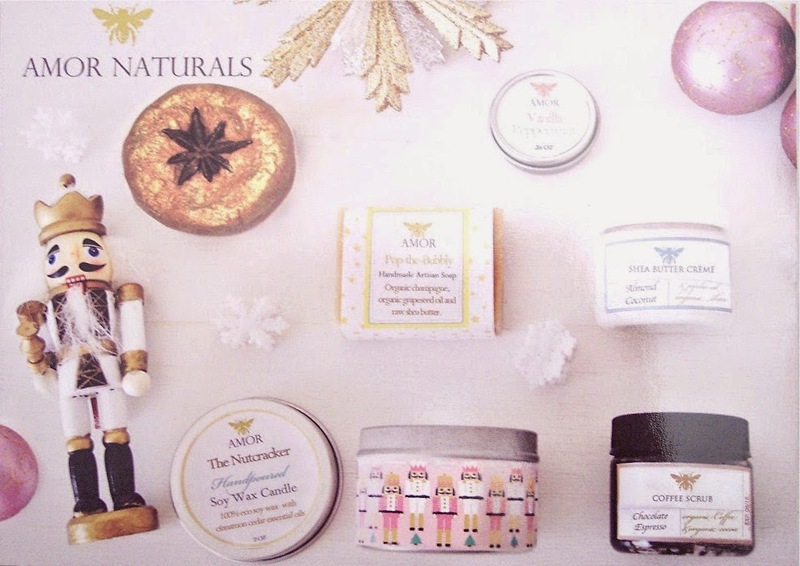 Amor Naturals Holiday/Winter 2014 Soap Box Review + 10% Coupon Code! 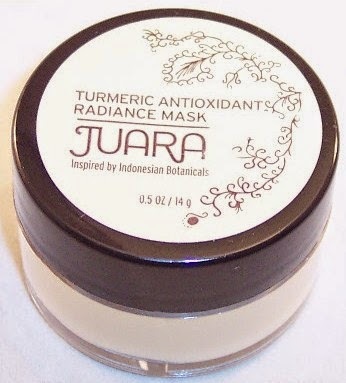 Amor Naturals is a quarterly subscription box that is quickly working its way into my heart. Their Holiday/Winter box is the second one I've received and let's just say....my nose is in love! 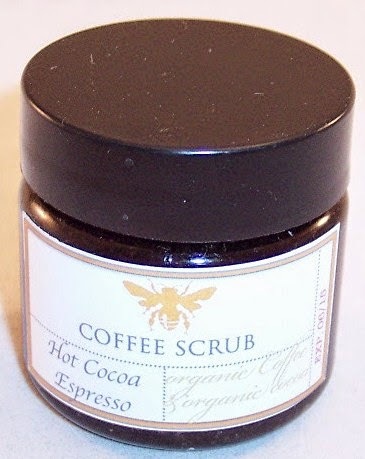 Unlike some other companies that send organic small batch products, these have wonderfully creative, delicious scents. At the same time, they are not heavy or overwhelming. The Amor Naturals subscription box comes four times a year and costs $19.99 + $4.99 for shipping. Each box contains 5 or 6 sample size products and the boxes generally follow a theme. The subscription auto renews every quarter and you can cancel at any time. 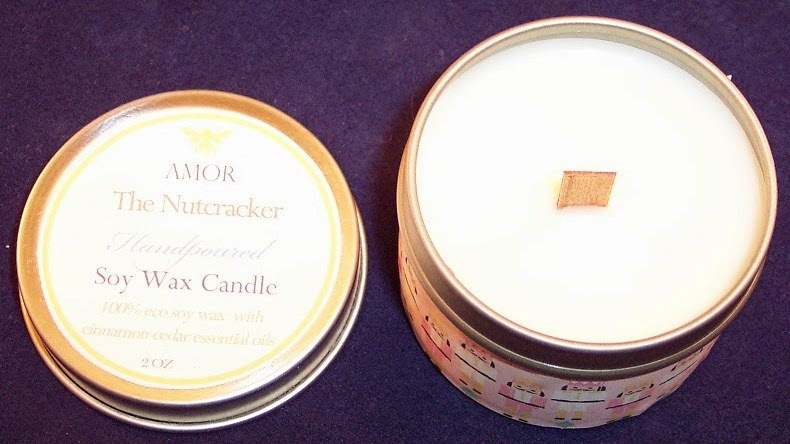 "The Nutcracker" is the theme of the Winter box which contains six exquisite little samples. These items were packaged in pale blue tissue sealed with a nutcracker sticker. The information card shows a picture of each item and gives a full description, directions if needed and the full size price. There is also a code for use on full size items in their store (see below). 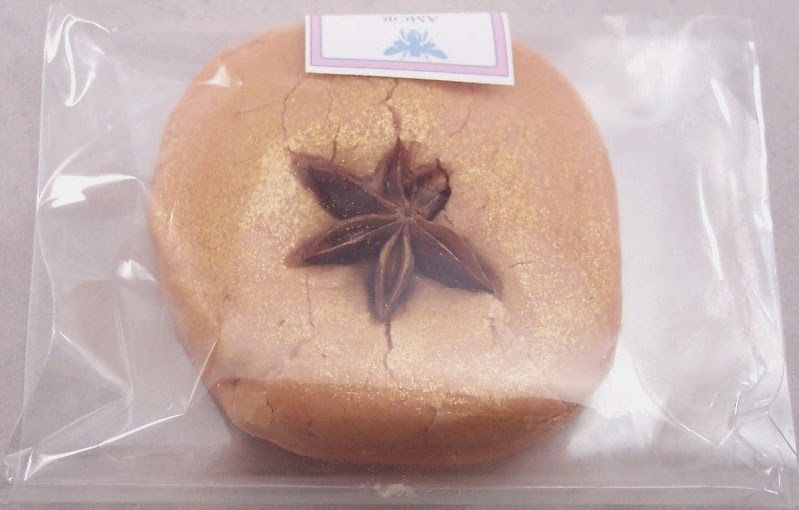 This looks like a gilded peanut butter cookie with a chocolate star on top but it's called the "Sugar Plum Fairy Spa Bubble Bar". 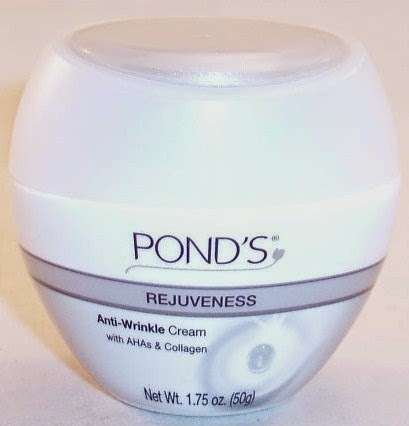 You crumble this under running water in your tub. 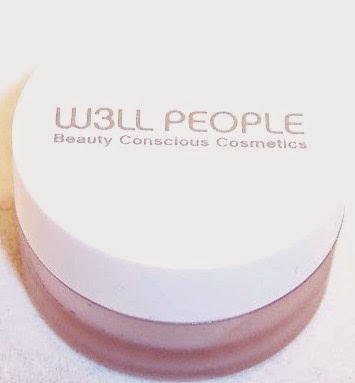 It contains rose french clay, coconut milk and a bit of cinnamon essential oil. Looks good enough to eat! 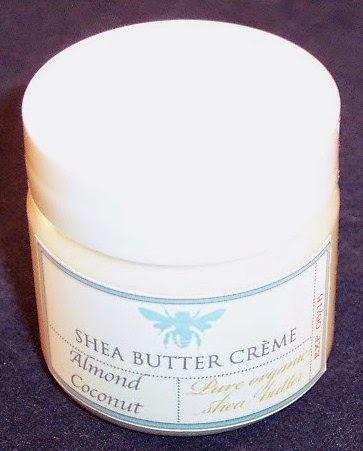 Next is a luscious Almond Coconut Shea Butter Cream, an intensive healing body cream for dry winter skin. 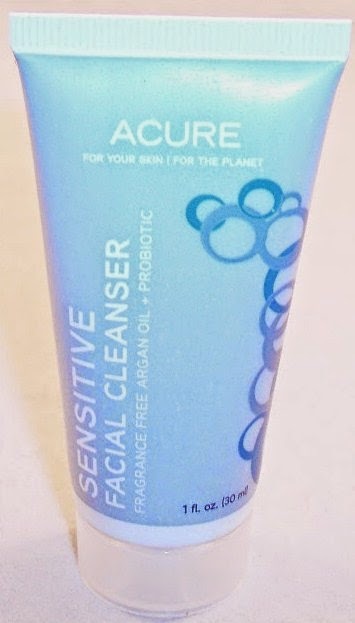 It has a very light and lovely almond scent with just a hint of coconut. Really nice! This is the kind of product that makes me want to visit their on-line store to check out the full sizes. This adorable little quarter ounce tin contains Vanilla Peppermint scented lip balm made with natural soy wax, vitamin E and avocado oil. Smells delicious and although this is a sample size, there is enough here to last a long time. 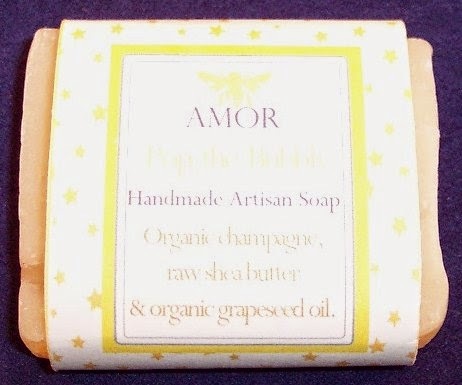 Pop-the-Bubbly soap is a handmade artisan soap made with organic champagne (didn't know there was such a thing), grapeseed oil and raw shea butter. It is scented with grapefruit essential oil and a sweet fizzy fragrance. There is a lot going on in this little bar but again it has a light pleasant scent...and yes, somehow it is a bit fizzy! It's always good to see candles of any size in a sub box. This one is called "The Nutcracker" and is charmingly packaged in a little tin wrapped in nutcracker patterned pink paper. This 100% soy wax candle contains a seasonal blend of cinnamon, sage and an essential oil blend. I am burning this as I write and what I especially love is the wood wick which crackles slightly as it burns. This is a tiny candle but again, a beautiful product! 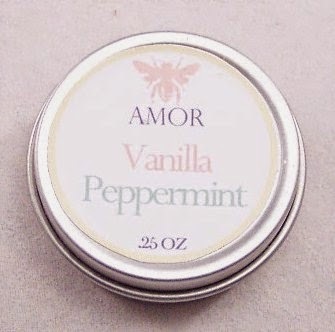 As enjoyable as it is to open an Amor Naturals box, it is a letdown to discover that most of these products are not available in the full sizes on their site. I'm sure they do sell out very quickly but I remember running into the same issue with the Fall box. 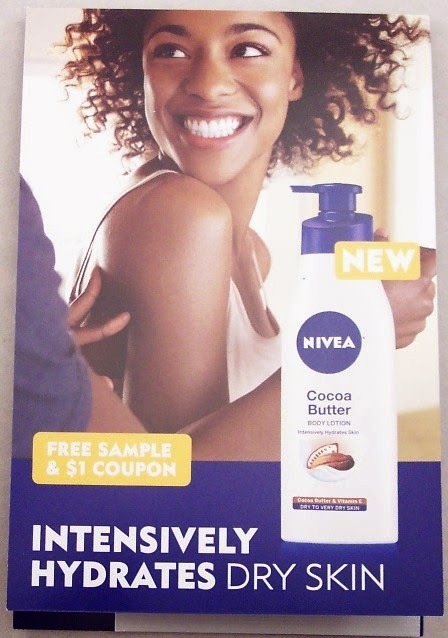 At the time of this writing, there are only three products available in full sizes and none of them are products that were sampled in this box. 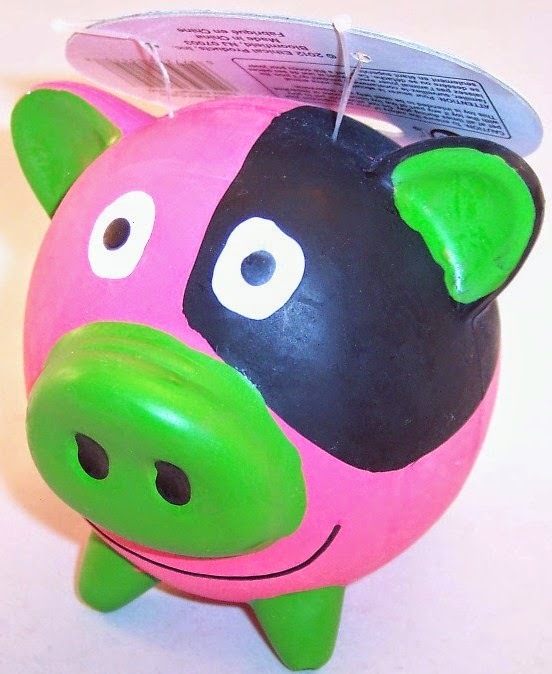 That is frustrating as full size versions of these would make fantastic gifts! I hope that is just a learning curve issue and that future boxes will contain samples of products that are actually available in larger sizes. Are you listening Amor Naturals? What is the point of an AMAZING sample box if the full sizes are not available? I think this is just the third box for this new company so hopefully, their store will be more fully stocked in 2015. By the way, it was interesting to me that all six items in this box were almost exactly the same items that were included in the Fall box...just different scents. I'm not complaining because I'm completely charmed with these boxes; it's just an observation. 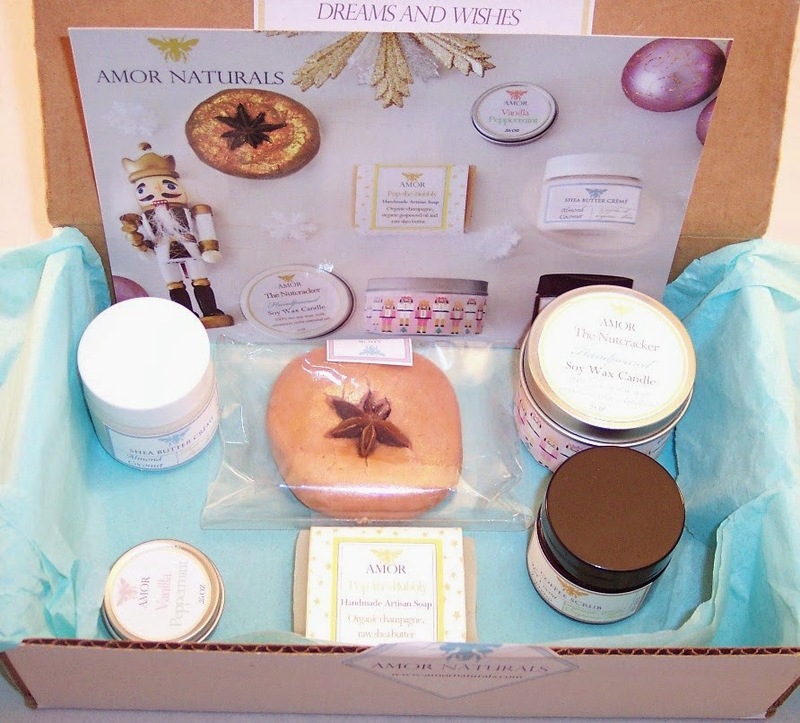 It looks like Amor Naturals' Holiday box is now sold out, but the Spring box will be shipped in March. The site does not appear to be accepting new subscribers right now but I'm guessing they will start taking orders for the Spring box around the first of February. If you're interested, I strongly advise you to sign up for their newsletter so you can be advised when the subscription window opens. When you do subscribe, use code FREESHIP14 to get free shipping on your first box. When full size products do become available on the site, use code HAPPYHOLIDAYS for 10% off. Unfortunately, this does not work for the subscription boxes. Trust me...this sub box company and shopping site are worth keeping on your radar. There seem to be capacity issues at present but if you can get your hands on these products, you'll be head over heels about them, just as I am! 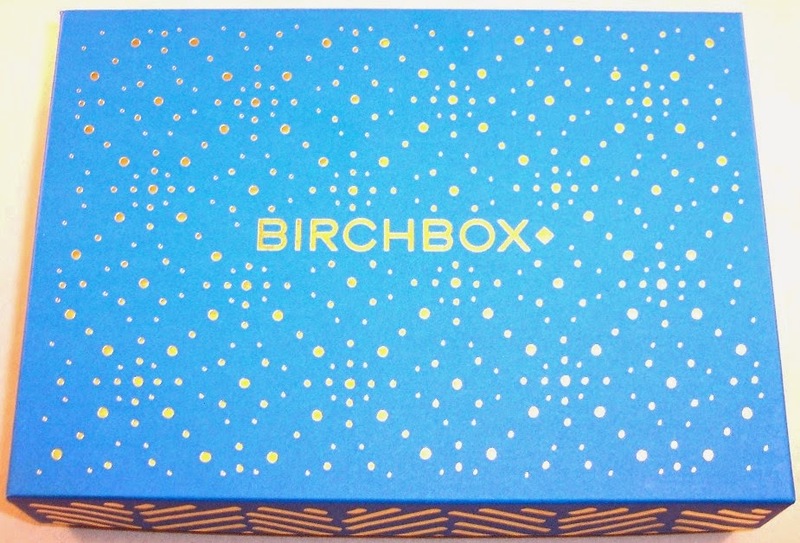 Since I've done so many Birchbox reviews over the past few months, I wasn't planning to do one for December. Then, along came their most beautiful box ever! Not only is it full of great products but the box itself is the prettiest one they've ever sent. I'm hoping this signals an end to the boring brown boxes. The December box contains five luxury samples. They all come from high end brands that I'm more or less unfamiliar with...and that's the whole purpose of a good sub box in my opinion. There is not one repeat in this box; how often can we say that? The information card provides the name of each item, its retail price, a description and how-to tips. The theme for the month is "festive beauty samples". 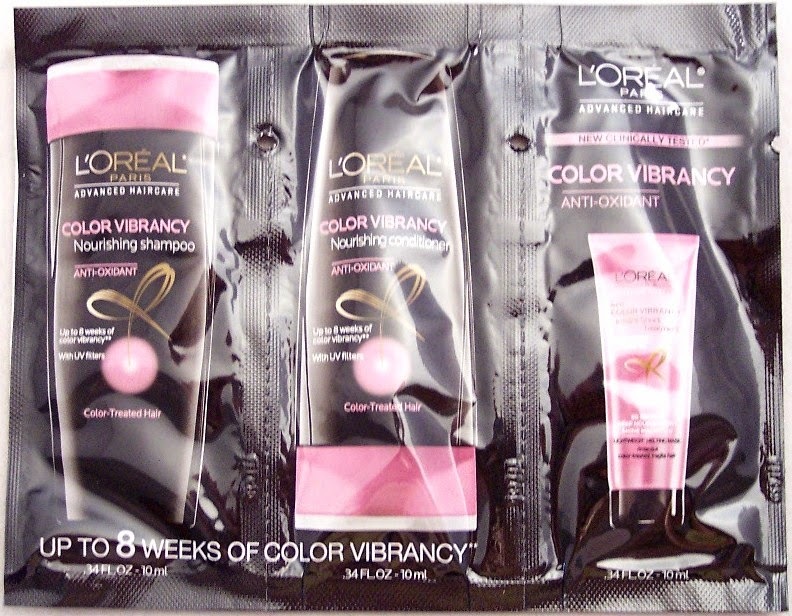 From what I've gathered on other blogs and vlogs, none of us like foil pack samples. In the long run, competition between the beauty boxes may drive these out of our boxes but in the meantime, I'm afraid they are here to stay. It behooves us all to get VERY adept at squeezing out every last bit from these annoying little packs. 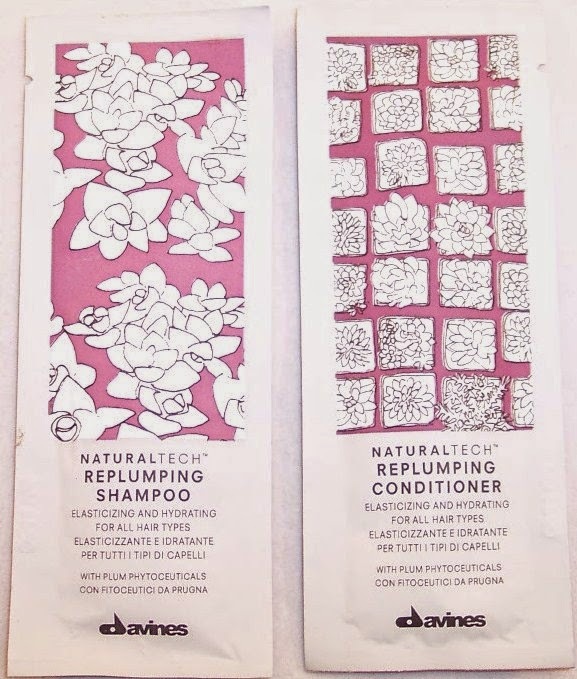 These two are from Davines, their Naturaltech Replumping Shampoo and Conditioner. 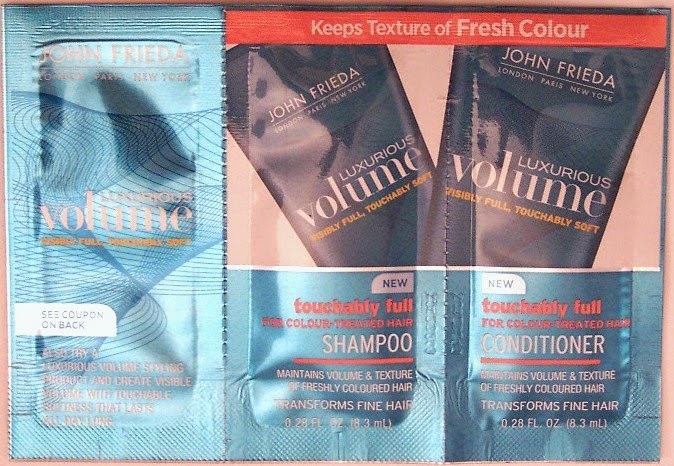 For some reason, these aren't shown on the information card but I assume they promote thicker more lustrous hair. Maybe Birchbox is wise enough to just toss these in as bonus samples and not count them as regular luxury size samples. Even though everything in December's box is not necessarily suited to my skin and hair type, I am impressed with the quality and variety of products. Birchbox is definitely introducing us to some higher end brands which most of us probably would not have encountered otherwise. Discounts for Birchbox are few and far between since they are so cheap to begin with. Most of the discounts I've seen over the past year have been geared towards purchases in their on-line store rather than to subscriptions. At the moment, you can get $10 off when you purchase one of their Limited Edition boxes (which range in price from $18 to $98) and subscribe. The code "bbshop" will get you free shipping on a store order. 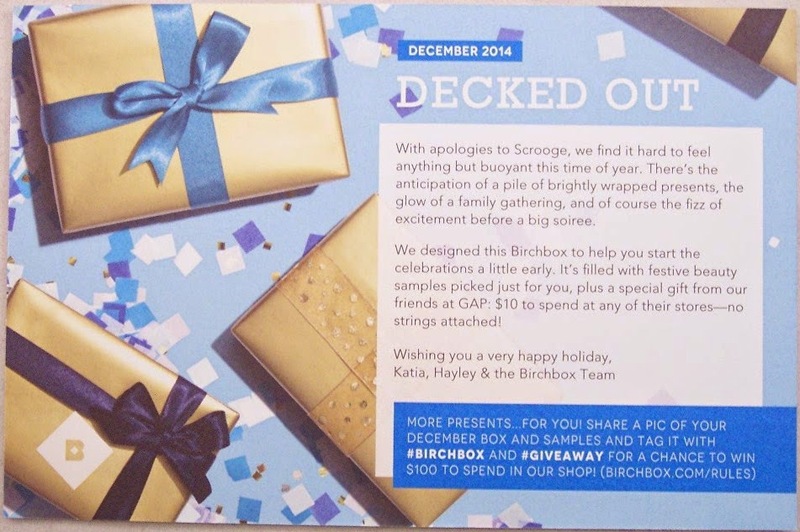 Don't forget to review the products in your monthly box on Birchbox's site each month. Each review is basically worth $1 in their store so if you review all 5 samples each month, you get $5 credit, making the cost of the box effectively $5. There are also other opportunities to add points during the month so they can add up fast. 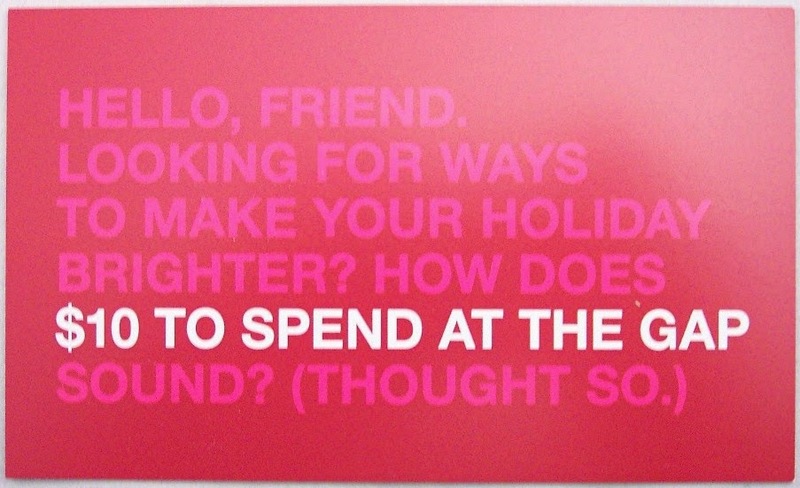 Having a few hundred points to burn in the Birchbox store is not a bad thing at all! 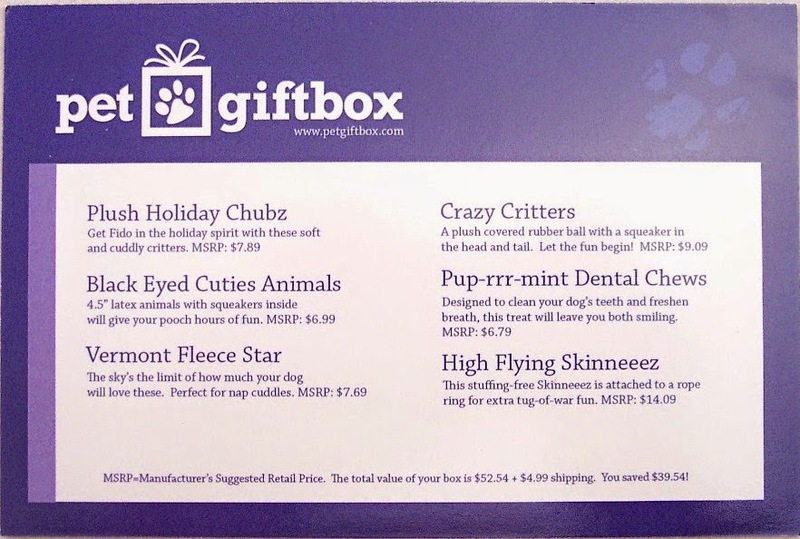 Pet Gift Box Review, December 2014 + FREE First Box ($4.99 S&H), Hurry, offer ends 12/31/14!! Pet Gift Box is new to Tucker and me. The premise is similar to other pet subscription services. 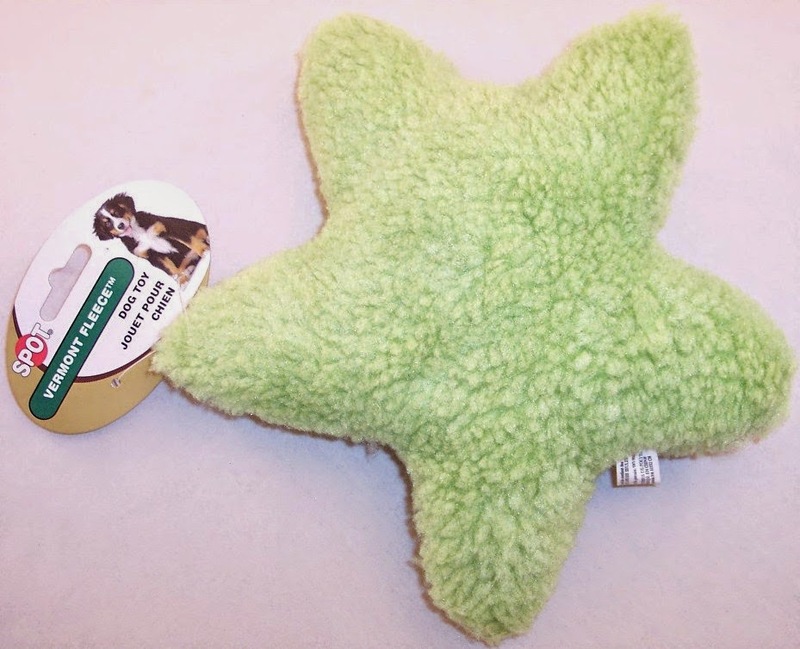 They send high quality pet toys and healthy treats for dogs and cats. You can sign up for a subscription for $17.99 a month or gift a single box for $24.99. You can also do a 3, 6 or 12 month gift subscription for $17.99 a month. For dogs, you'll be asked the pup's name and size (Petite, Mid-Sized or Hefty). Boxes are shipped during the first week of each month. 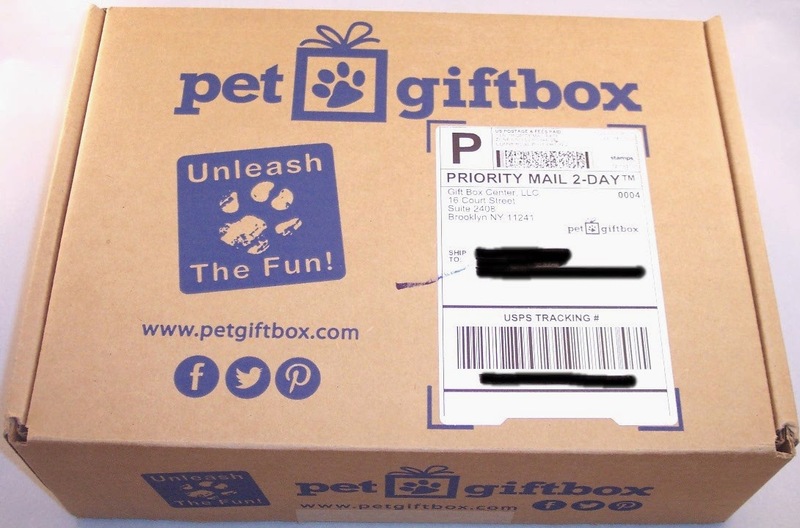 Our first Pet Gift Box arrived in a sizable branded cardboard box that weighs a little under two pounds. 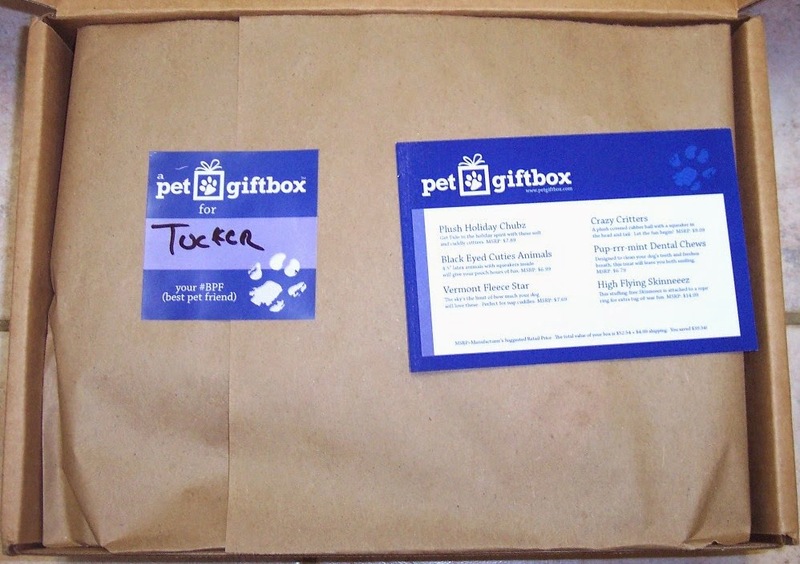 Inside, the contents were wrapped in brown paper sealed with a sticker hand addressed to Tucker. Nice touch! We noticed right away that there are a LOT of toys in this box! The card tells the name of each item and its retail price. Despite the fact that Tucker currently has about 15 stitches across four surgical incisions, he dove in nose first. "Pleeeze....just a few seconds, that's all I need!" Nosirreeebob!! OK, so what I like, no LOVE about this box is the retail value which is $52.54. Since this was my first box, I got it with a discount code for $8.99. (Not to worry...you're going to do even better below!) 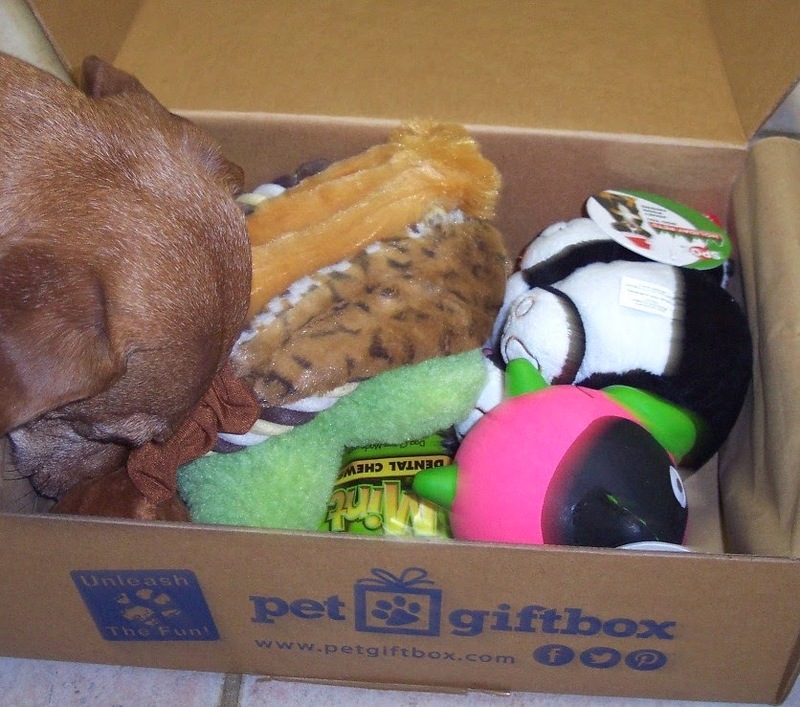 We have never received a pet subscription box that gave that good a value for the price paid. Even if I'd paid the full $17.99, this was still a great deal. The toys are all of a quality that I probably wouldn't pay for at the pet store so this is a wonderful opportunity to upgrade Tucker's toy cabinet. 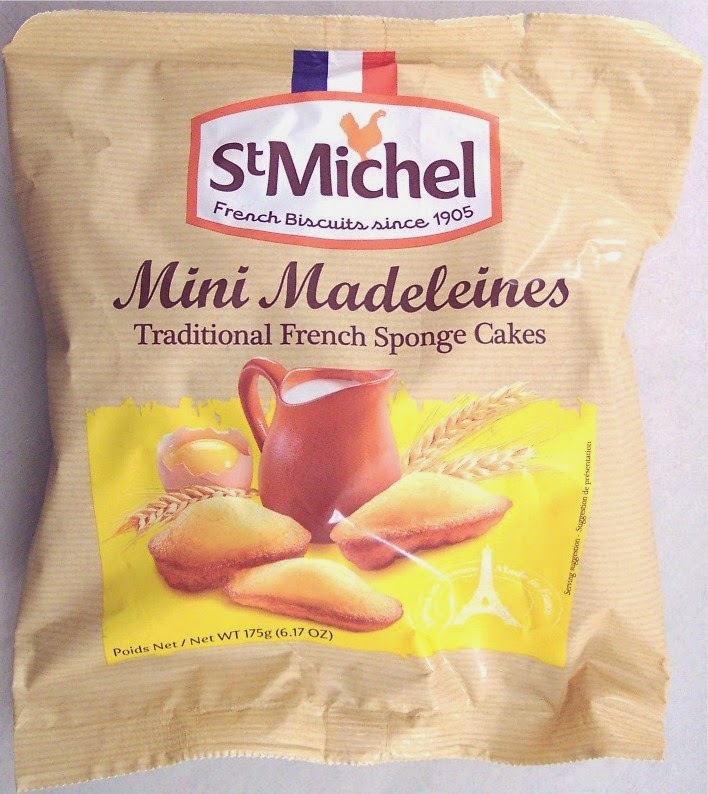 The only minor quibble I have (which I hate to bring up because of the tremendous value of this box) is that there was only one edible in the box. 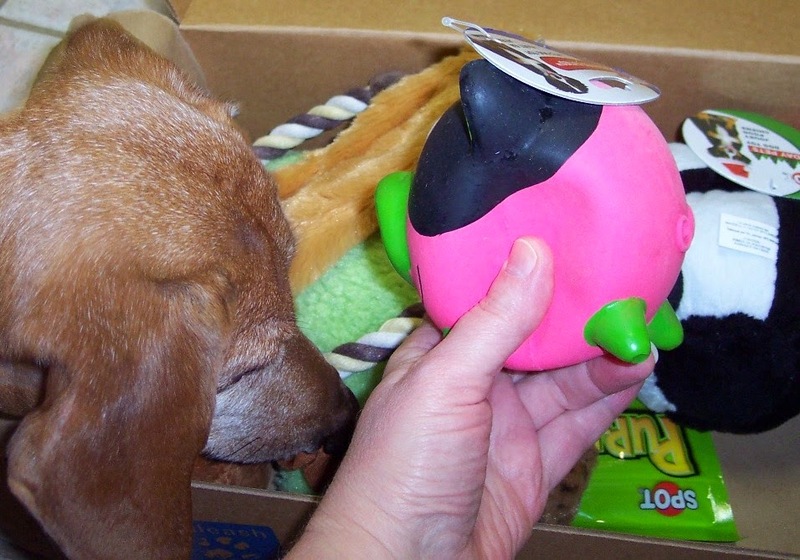 Tucker lives for treats and although I was thrilled with receiving so many great toys, he would have liked more to eat. Maybe next time? I am rarely tempted to sign up for long term pet box subscriptions because the value usually isn't that great. 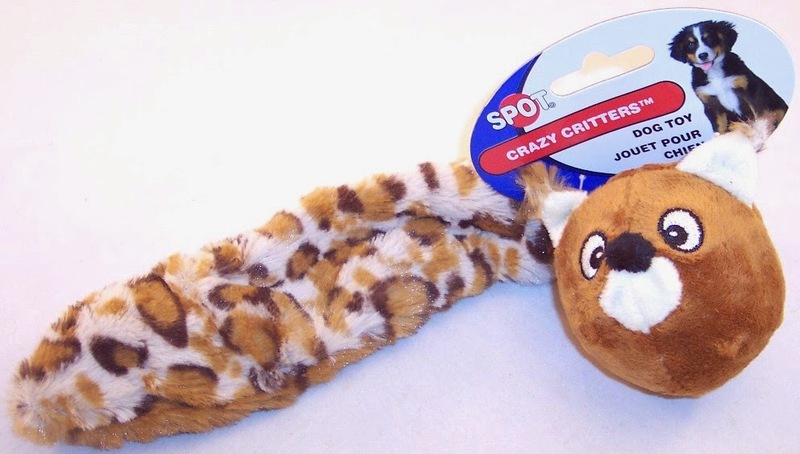 But if our next Pet Gift Box is as good as this one, they may be stuck with us for at least a year. Outstanding job PGB! Now to share the joy. 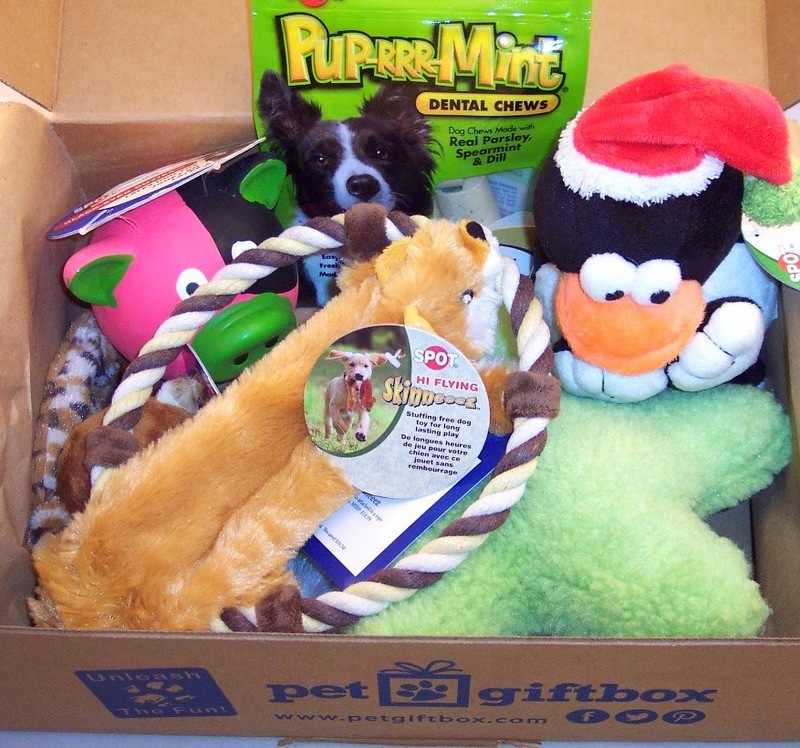 Use the code "newyears" and Pet Gift Box will send you your first box for FREE; just pay $4.99 for handling. Judging from what we just received, that is way more than fair. But you'll need to hurry. When the year's up, this deal ends. Put down the eggnog and jump on this....you're not going to see a better pet box deal ever! Click here and go now or you'll miss out! P.S. If you miss out on this incredible year-end deal, click on any of the links in this post to get $5.00 off your first box. 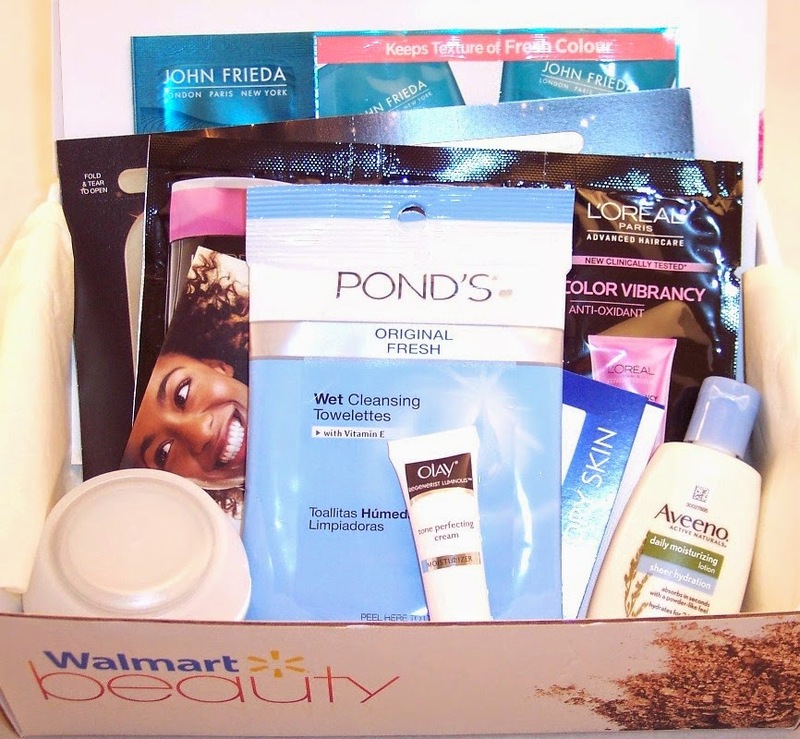 Walmart Beauty Box Subscription Review, Winter 2014, FREE + $5 S/H!! We can thank Walmart for the one $5 beauty box out there! You might think such a box couldn't contain much. You'd be wrong. I'm sure all the products in this box are donated from vendors so the price you pay pretty much just covers postage. 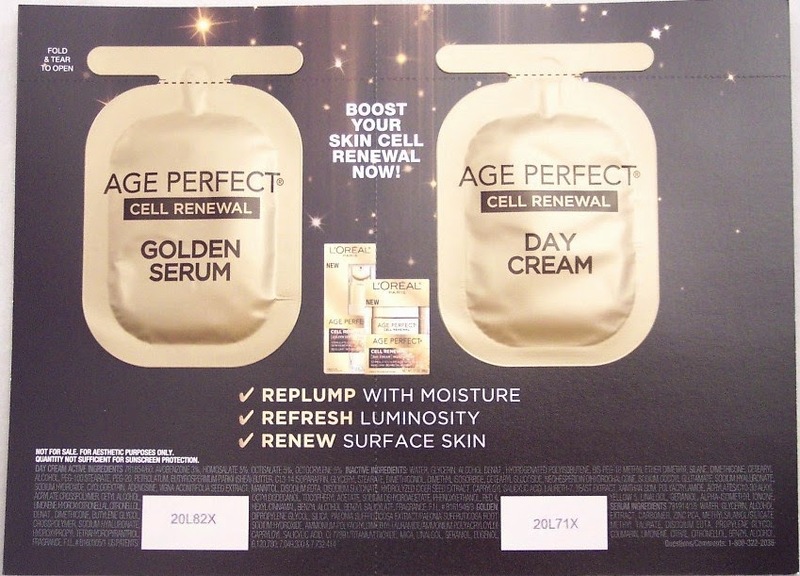 Of course, the boxes do not contain high end or designer brands; you're going to get drug store quality. You're also going to get mostly samples, although some of them are quite generously sized. 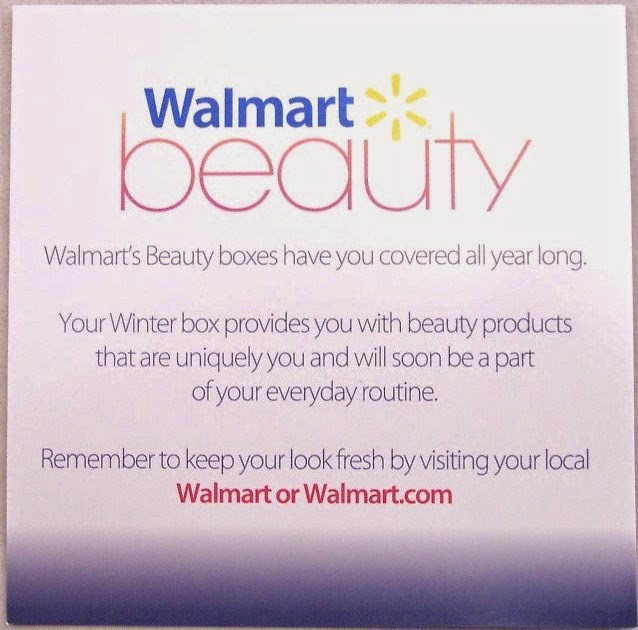 Walmart's Beauty Box arrives quarterly (Spring, Summer, Winter, Fall) with products that are somewhat seasonally appropriate. So far I have received primarily skincare and hair products with only one cosmetic, a lipstick in the Fall box. For me, that's actually a relief as I receive so many cosmetics in other boxes. But for those who are looking for full size cosmetics, this may not be your box. Also, there is no customization. For five bucks, you get what you get...no whining! 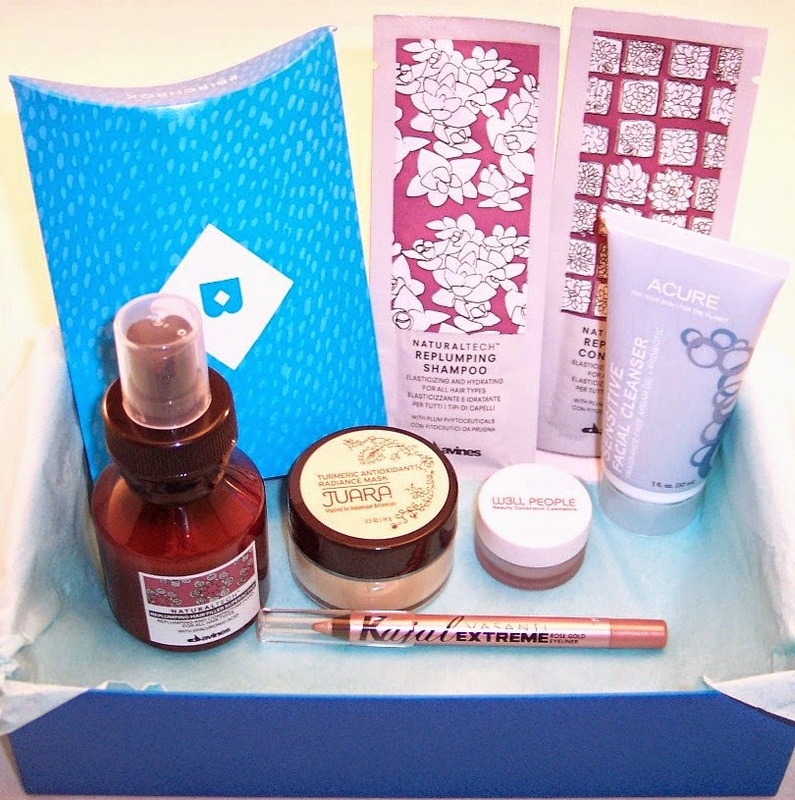 The Winter Beauty Box is pleasantly stuffed with four generously sized samples and three single use foil pack samples. 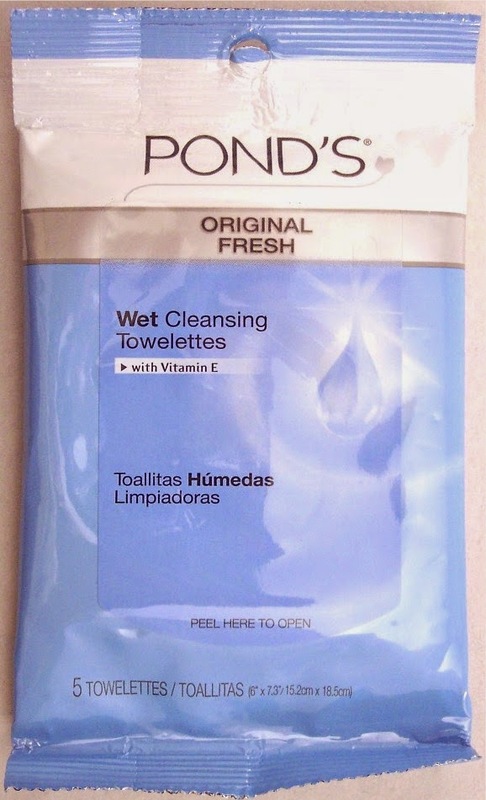 For me, the two most welcome items in this box are the Pond's Wet Cleansing Towelettes, the Pond's Rejuveness Anti-Wrinkle Cream and the Olay Tone Perfecting Cream. Those are all useful products with enough in them to last quite a while. And, of course, everything in this box would be suitable for travel or carrying in your purse. If you want to get on the list for the Spring box, click here. I'm not sure when the cut-off date is but if you order soon, you may get the Winter box. 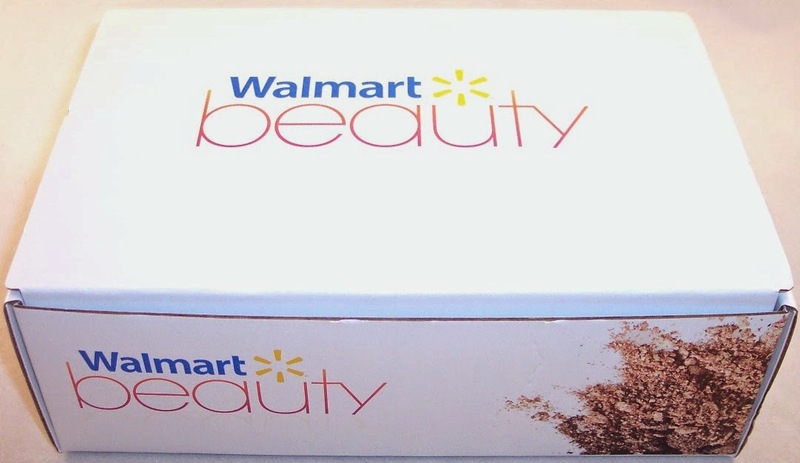 Exciting it is not, but Walmart's Beauty Box gives good value and a good opportunity to try some samples of newer products from familiar drug store brands. I hope that the contributing vendors will find enough value in this concept to attract lots of other samples to these boxes!